Sun Ruowei entire family is killed on the orders of the Yongle Emperor in 1402, though she escapes death after being secretly adopted by Sun Zhong. Sun Ruowei becomes the concubine of crown prince Zhu Zhanji (Zhu Yawen) by chance, and continues to investigate the truth behind her family’s death. However, Sun Ruowei decides to abandon her revenge plans after realising how dangerous it would be to destabilise the court for her own personal goals. Touched by Zhu Zhanji’s kindness, Sun Ruowei resolves to become a virtuous empress who can support him in times of hardship. Unfortunately Zhu Zhanji passes away after a decade on the throne, and Sun Ruowei is honoured as Empress Dowager once her 7 year old Zhu Qizhen ascends the throne. In history, Sun Ruowei was praised for maintaining the peace of the country after the Crisis of Tumu Fortress and during the palace coup when Zhu Qizhen would reclaim the throne from his half-brother Zhu Qiyu. The character was played by He Qing in The Imperial Doctress. The 60 episode drama is based on Lianjing Zhuyi’s Liuchao Jishi / 六朝纪事, and will be supervised by acclaimed historical drama director Zhang Li (Ming Dynasty 1566). The script was co-written by the show’s two directors An Jian (Decoded) and Zhang Ting (Ode to Gallantry), while dramaland’s busiest designer Zhang Shuping (TLTWTMPB, Ruyi’s Royal Love, Lost Love in Times, Rise of Phoenixes) is in charge of the costumes. This entry was posted in Drama, Mainland China and tagged Empress of the Ming, Empress of the Ming: Legend of Sun Ruowei, Tang Wei, Zhang Li, Zhu Yawen by XDramasX. Bookmark the permalink. Tang Wei vs Fan Bingbing vs Zhou Xun vs Ni Ni/Chen Kun would be an epic showdown if they all aired around the same time. 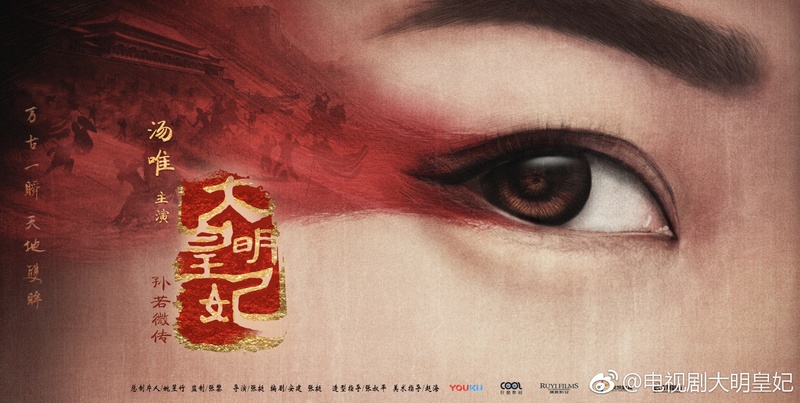 Isn’t there also rumors of a Zhang Ziyi ancient drama? yup. 帝王业 –> 帝凰业 (cos female-centric, but it sounds terrible). She forwarded an interview that talked about that show, so I think she’s pretty much confirmed. Rumour has it producers are trying to get Eddie Peng to star opposite after Zhang Zhen rejected.